A very easy recipe with yummy results. They aren’t the type of scone you have with jam and cream but they are very delicious served fresh and hot from the oven with a spread of butter, be warned though… you might want to double the ingredients! 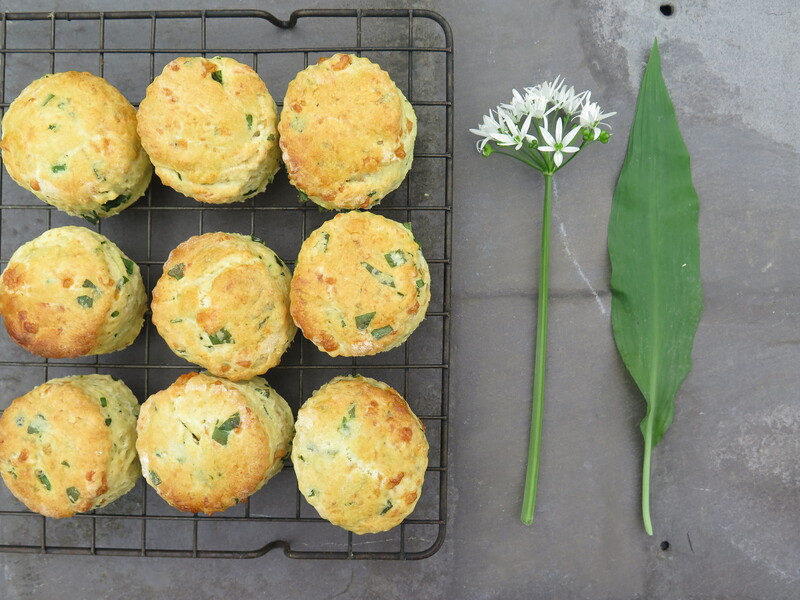 Rub the butter into the flour and mix in the cheese and wild garlic. Beat the egg and milk together and gradually add to the mixture, kneading gently until you have a soft dough. Keep a little of the milk mixture for use later. Roll out the dough onto a floured surface to about 2 cm thick and cut into 2 inch rounds using a cutter. Lay them onto a greased tin and brush the tops with the remaining milk and egg mixture. Bake in a preheated oven at 220C/gas mark 7 for 10-12 minutes or until the scones turn a golden colour. Enjoy warm or hot with a spread of butter. These look absolutely amazing! 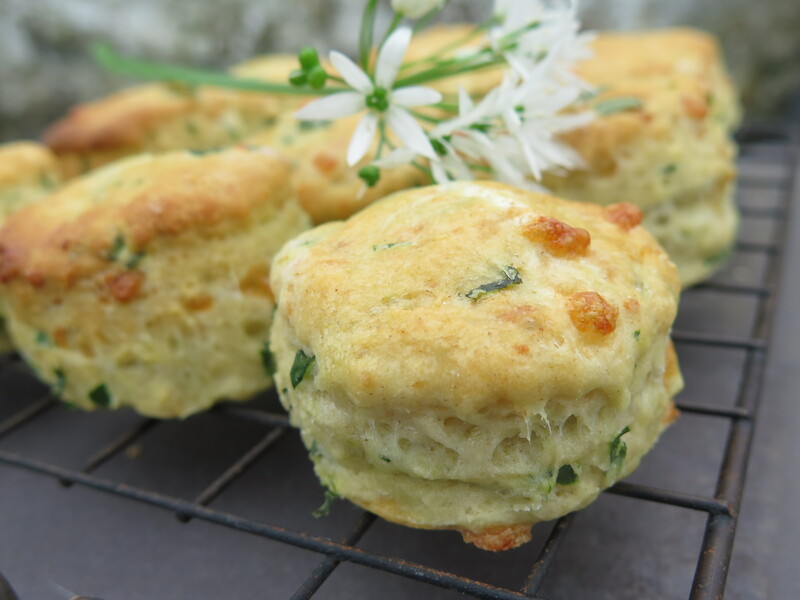 I remember making cheese scones when I was a kid in school, so I guess these would be kind of similar! 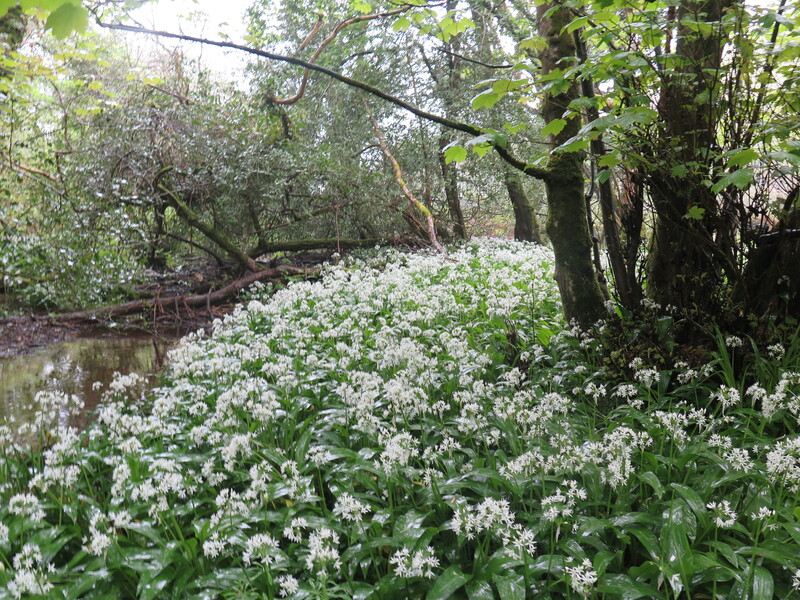 I need to find me some wild garlic! It’s an amazing feeling when you find a bountiful patch. The scones look great! Thank you, these were delicious! I just think next time I will add more cheese as they probably weren’t cheesy enough for us! Really lovely and fluffy though! Also, I added baking powder!